What I thought was going to be a sweet light romance turned into a great story. I loved this book. Tess is a very organized and career oriented person. She just got a promotion at work, for which she worked hard for. She has been dating the ideal man for years and is going to spend the rest of her life with him. Then everything comes crumbling down. She loses the man and her job all within a 24 hour period. Her twin brother calls and asks her to help him. With this one phone call she finds a whole new life; her voice and the person she should have been all along. Tess is a well put together woman who has put her all into her career and the man she loves. She thinks she has to be perfect, but she soon finds out that perfect is not everything. Thatcher is the tall dark handsome man who Tess meets when she goes to work for her brother Jake. He lets Tess be Tess and not who he thinks she should be. Even as Tess is learning to care for Thatcher there are secrets that he is not willing to share. Logan is the boyfriend who Tess has been dating for seven years. Tess thinks he is the perfect man for her. She loves him or does she? I was really impressed with the writing of this book. Courtney Rice Gager has a light easy style of telling a really good story. 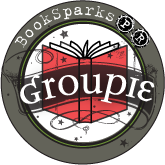 Her characters are well rounded and the descriptions of places and things brought them to life. I loved this book and I would recommend it to everyone. If you want a book that is just a great read this is the book for you. Courtney Rice Gager first fell in love with reading as a child on summer vacations by the ocean. Today, she enjoys writing her own humorous and heartwarming stories that are best paired with plenty of sand and sunshine. Courtney is the author of The Buggy List. 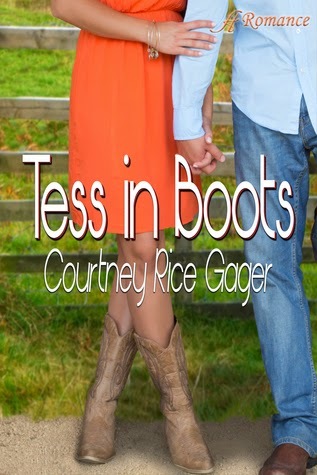 Her upcoming title, Tess in Boots, is contracted with Anaiah Press for release in December 2014. She lives in Southern New Jersey with her husband and daughter. Just came across this - thanks so much for the great review!